“As above, so below,” say the alchemists. And when the stars twinkle in Barcelona’s night sky, its city lights and monument illuminations glitter with their own kind of magic. 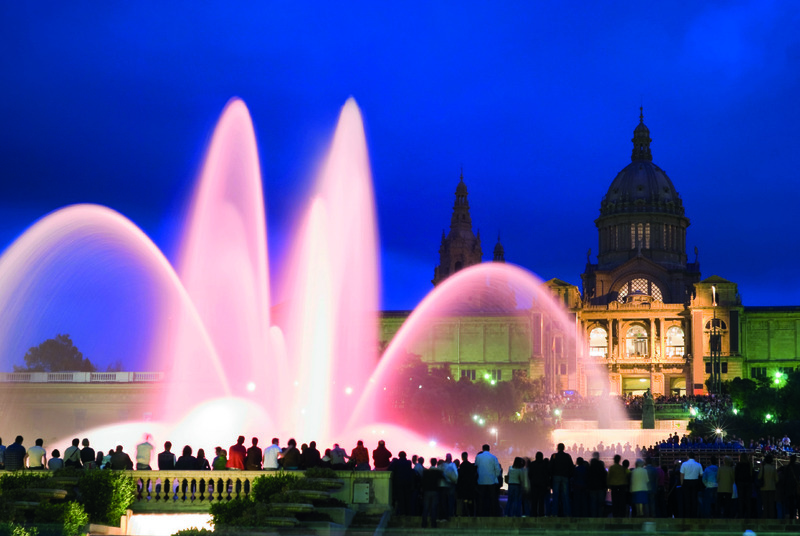 Enjoy a new experience of Barcelona with the Barcelona Guide Bureau’s night tour, which passes along the waterfront, through Montjuïc, and ends with the spectacular Magic Fountain show. Barceloneta. This neighbourhood was the sailors’ and fishermen’s quarter from the 18th century, and retains a unique charm. Its chiringuito beach bars are the perfect place to watch the sunset and enjoy some tapas by the sea. Port Olympic. Explore the port which was especially created for the Olympic Games in 1992. The surrounding area was elegantly renovated for the occasion. Many nightclubs, bars and restaurants draw people to this seafront stretch to enjoy the warm summer evenings. Port Vell. 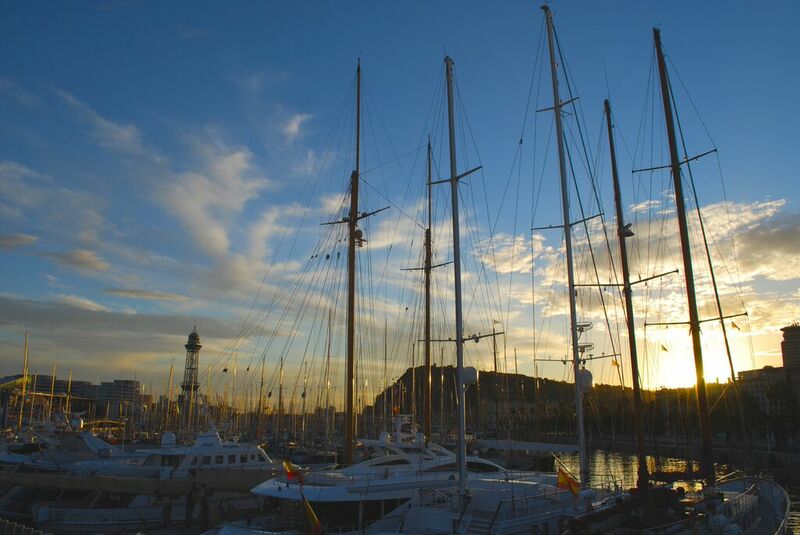 The old port is surrounded by popular attractions such as the Aquarium, Imax cinema, and Maremagnum shopping centre, as well as sailing clubs and other nautical activities. Monument to Columbus. The legendary voyager stands atop this tall column at the end of La Rambla, pointing out to sea. This monument was built to commemorate Columbus’ return from America to Barcelona where he was met by the Catholic Kings in 1493. 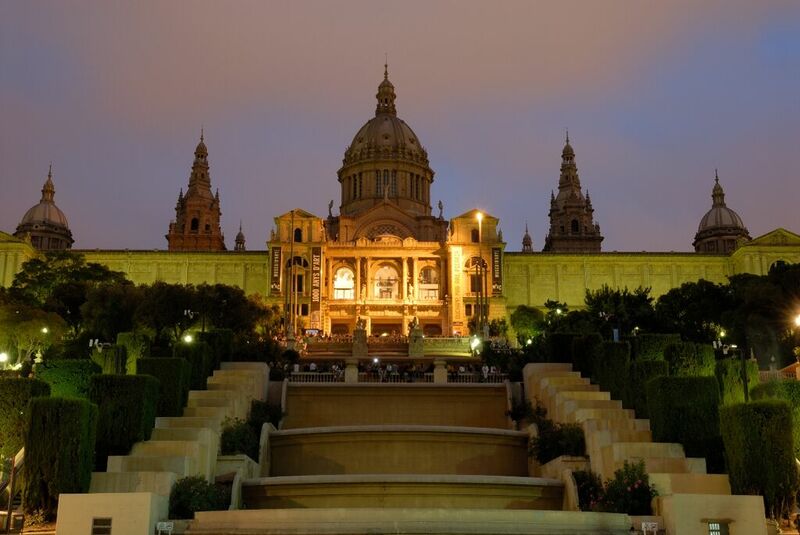 Montjuïc. Enjoy spectacular views from the hill above Barcelona as you look out across the sea and city. It is known as the “green lung of Barcelona,” for its many parks and gardens. Magic Fountain of Montjuïc. The many ornamental fountains of Plaça Espanya come to life as the water jets perform an aquatic ballet, accompanied by a rousing soundtrack and atmospheric light show. Tours depart at 8pm every Thursday and Saturday from Plaça Catalunya, in front of Deutsche Bank & Hotel Olivia Plaza. Look for the guides with the orange umbrellas! The tour is in English, and lasts approximately 2 ½ hours. 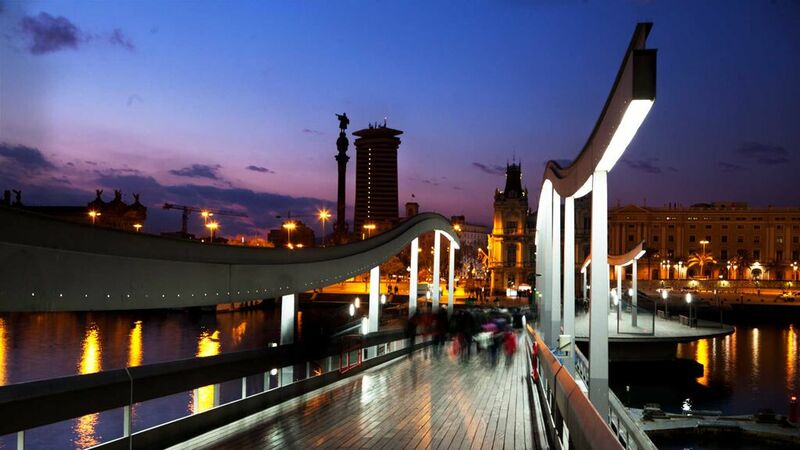 Book your tickets in advance to guarantee your place with Barcelona Guide Bureau, or just turn up at the meeting point.